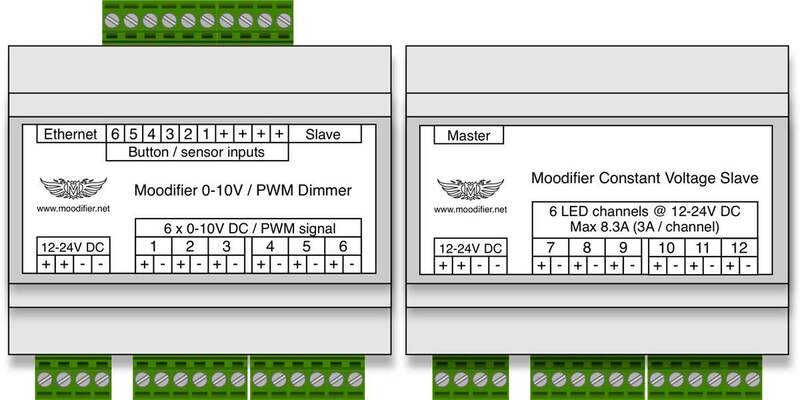 Our latest range of DIN-rail mounted master and slave units offer a unique combination of IP-connected 12-24V constant voltage, 350mA constant current and 0-10V/PWM signal control units. Our master and slave concept offers great flexibility and scalability for any residential, commercial or industrial project. Our original black box units cover everything from PoE-powered LED drivers to 12-24V constant voltage and 350mA constant current master and slave units. We still sell and support these units, and will continue to do so for a long time. Documentation and specifications for these units are available here.